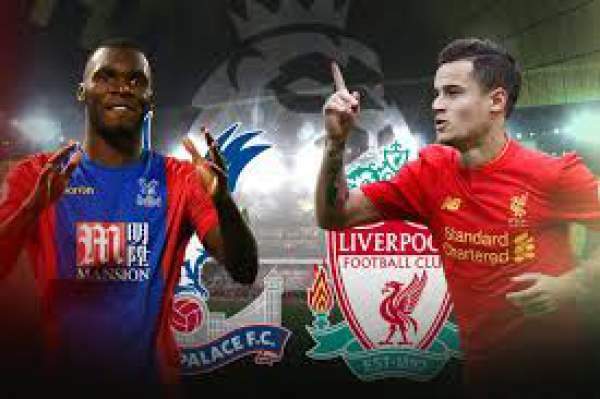 Crystal Palace vs Liverpool Live Score Premier League 2016 Live Streaming LIV v CRY Match Preview Prediction 29th October: Crystal Palace hosts Liverpool at the Selhurst Park for their game on the tenth match day of the EPL. Liverpool is currently third on the table with twenty points from nine games, below on goal difference from Arsenal and one point above Chelsea. On the other hand, we have Crystal P who is 12th in the table with eleven points from nine matches, one point below Leicester City who has played one game more than them and above on goal difference from Burnley. 29th October 2016 at 22:00 (IST). C Palace has 11 points from the nine games they have played as they won three matches, drew two and lost four in total, scoring 12 goals and conceded 12 goals in total. Christian Benteke is their top scorer with three goals to his name. They have won one game, drew one and lost three games in their last five games in the league. They played the title defenders Leicester City on the ninth matchday of the league and lost the game by 3-1 away from home. Ahmed Musa opened the scoring in the 42nd minute and then Shinji Okazaki scored the second goal in the 63rd minute. Then in the 80th minute Fuchs scored and made it 3-0 and then Yohan Cabaye scored a late goal but it wasn’t enough. Liverpool has been phenomenal this season as of yet, they have 20 points from nine games, winning six games, drew two games and lost one. They have scored 20 goals and conceded 11 goals. James Milner and Sadio Mane is the top scorer for Liverpool as they have scored four goals each. Liverpool played against Tottenham in the league cup mid-week and won the game by 2-1 as Sturridge scored two and Janssen scored one for Tottenham. In their last five games in the league, they have won four games and drew one. Mandanda, Tomkins, Kelly, Delaney, Ward, Ledley, Zaha, Cabaye, Townsend, McArthur, Benteke. Karius, Lovren, Clyne, Matip, Can, Lallana, Henderson, Mane, Coutinho, Firmino. Liverpool is on a great run and can win this one. Come back for the match result, full video highlights, and much more. Stay tuned to The Reporter Times for latest Football news and other sports updates. Don’t forget to share it on social media sites to share with other fans.